The median home value in Palm Desert, CA is $330,000 This is higher than the county median home value of $321,500. The national median home value is $185,800. The average price of homes sold in , is $. Approximately 37.31% of Palm Desert homes are owned, compared to 22.06% rented, while 40.63% are vacant. Palm Desert real estate listings include condos, townhomes, and single family homes for sale. . Commercial properties are also available. 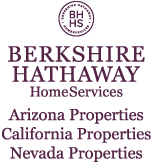 If you see a property Palm Desert real estate agent to arrange a tour today ! Learn more about Palm Desert. Clean, modern, sophisticated. This is the home that many have been waiting for in the highly sought after development of Brenna at Capri. Ideally located on an interior, south-facing lot, this home has been meticulously maintained featuring four bedrooms, three bathrooms, great room, formal dinning room, wet bar and lots more. The pool has a great design with pebble-tec plaster and a gorgeous cascading water fall spa. Make your appointment today as this home will not last long! Lovely, hard to get single level end unit! Two bedrooms, two baths with approx. 1360 SF, Vaulted ceilings, gas fireplace with updated mantel, updated bar, nice ceramic tile, and much more! This unit has beautiful west facing golf course and mountain views, and is very private! Beautiful and spacious single level, single story detached property in prestigious Villa Portofino, a 55 or better community. Offering high ceilings, an open floor plan and west and south-facing views of the mountains. Solar panels, too! You will especially love the gourmet kitchen with large island that opens to the dining and living areas that offer views an access to the private patio that overlooks the greenbelt! Master Suite has views, access to the outside and a private bath with dual sinks, walk-in shower, separate tub and walk-in closet. Bedrooms Two plus a den (or optional bedroom) share a full bath as well as attached two car garage. Community amenities include use of the clubhouse featuring resort-style pool and spa, movie theatre, game/meeting rooms, state of the art fitness center, yoga studio, Bistro & Restaurant. HOA dues include cable, internet, water, trash, insurance, landscaping, roof, window washing, pest control and more! Lowest price in Ironwood! Do not miss this deal. A beautiful 2 bedroom 2 bath condo nestled into the mountains above the valley floor, it is centrally located in the valley for easy access to all shopping, dining, and cultural activities. Ironwood CC is a member owned club offering exceptional golf and tennis along with a state of the art fitness center. Enjoy a year long vacation in the comfort of your own home! FINAL PHASE! This is the last chance to own one of the beautiful new condos at The Retreat - one of the desert's best-selling projects. Tour the model homes and you will understand why they have been selling so well. These floorplans feel like a single family home with the turnkey convenience and low maintenance of a condo community. The community amenities are five star resort quality with a large swimming pool AND a lap pool. There is also a full gym, large community room with pool and ping pong tables and beautifully landscaped grounds all around. The Retreat has private golf cart access to the impeccable Desert Willow Resort including special discounts and access privileges offered at no other community. And we have saved some of the best locations for last, so you won't be disappointed. This home is on the golf course with the putting green and driving net conveniently off your patio. Join the putting club, go swimming at the pool, exercise, eat at the restaurant or use the sauna or hot tub just off your patio gate! The views of the golf course can be seen through the new dual pane windows in your living room/dining room The dining area has a large built in hutch accented by the cathedral ceilings. The upgraded electric kitchen has quartz counter tops and a new double oven. The kitchen island has a prep sink with a garbage disposal. Enjoy the golf course view from the kitchen sink which looks out over the spacious patio. The entertaining area has a sliding door to the patio and has its own bar sink! The guest bedroom is off the family room area as is the master suite. The master suite has a new walk in shower and dual sinks. New carpeting and flooring are throughout the home. Side by Side Parking completes the package. Call for a tour! Great location!Central Palm Desert Neighborhood. Recently upgraded with Fresh paint,Tile Flooring and New Fans in all Rooms. Spacious Kitchen, with a Breakfast Area, Granite Counter Tops,new Double Oven and Lots of cabinets. Cozy fireplace in family room for those chilly winter nights. Beautiful newly painted decking in patio with a sparkling clean pool and spa for your entertaining. Large lot over 10,000 Sq. Ft. RV parking, desert landscaping. WELCOME HOME! !